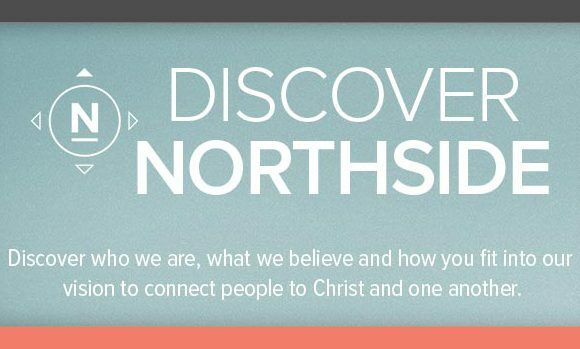 Discover who we are and what we believe during our Discover Northside Dinner. Taught by Wayne, our lead minister, and John, our small group minister, this afternoon will walk you through the history of Northside, where we’re headed and how you can partner with us. Dinner and childcare provided. RSVP to John@northsidechristianchurch.net.